I’ve made very few photo by wooden house in the night, in little towns you can’t take a photo at all, cause of the dogs, its barking awakes all people. In the big towns you also can’t take a photo cause wooden houses rarely were illuminated. I’ve found houses like that, only in Tomsk, Irkutsk and Novosibirsk. I’ve never seen that on European part of our country. 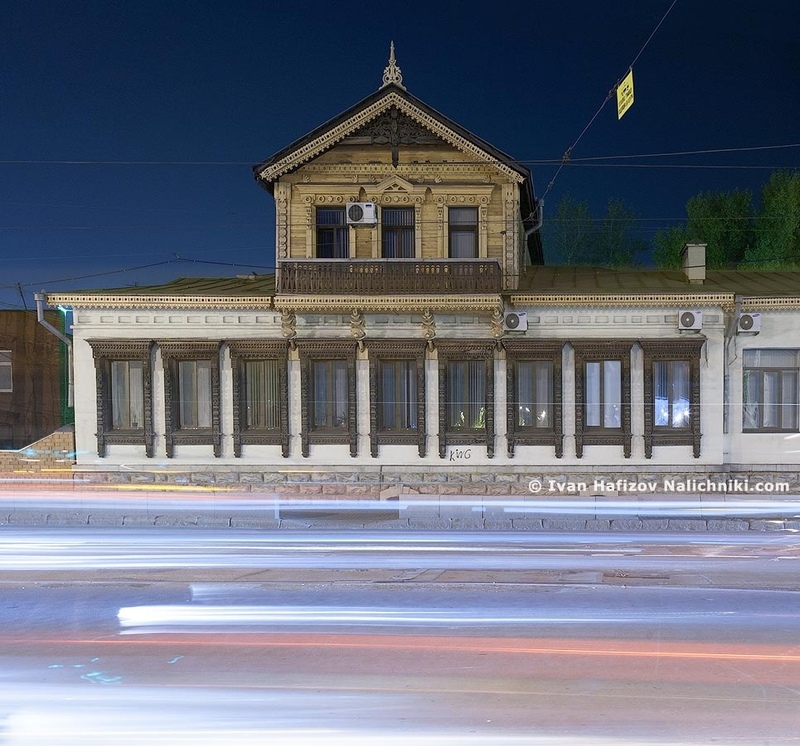 Photo of this house made in Chelabinsk, in light of street lamps and cars’ headlights look pretty good.